Cindy Morris is the owner of The Benson Agency, a consulting firm working with nonprofits on strategic planning. 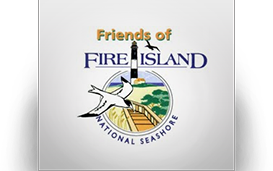 She is working with Friends of Fire Island National Seashore, as they work to develop programming that is more comprehensive and will truly drive further successes at our local national park, Fire Island National Seashore. Together, we are working to create inclusive programs, stronger outreach that will drive tourist and resident's use of the park, and provide resources to the park that will drive environmentally responsible access to Fire Island. Beautiful Memories Gemach is a charity clothing pantry located inside Young Israel of New Hyde Park, providing dress and business clothing to women, men and children in need at no cost. They also offer designer and other dress clothing at drastic discounts to those who can afford to purchase the clothing, but like to save and wish to support their charitable work. The gemach currently has over 700 gowns in excellent condition, including wedding, bridal party, mother of the bride or groom and more. The gemach serves anyone in need, regardless of religious affiliation or whether the need is short or long term. They are happy to be of service to families of individuals with special needs, who may find shopping for clothing in stores difficult. All visitors to the gemach are treated like family and every consideration is given to their comfort and privacy. That’s why they are only open by appointment, so you can have their undivided attention, and no one else has to know that you were in need. Call Mark at 917-703-4694 for an appointment. The Beautiful Memories Gemach is the largest of its kind in the United States. It was founded by Mark Krieger and his wife, Dr. Beth Krieger in memory of their loved ones, with the hopes that it could help others to create beautiful memories of their own. Mark is co-founder of Step Ahead Networking LLC and runs a speakers' bureau. You can learn more about him at www.markkriegerbiz.com. David Ardam grew up in New York City and Rockland County. He met his wife, Diane, at SUNY Albany. They married in 1976, and today have two grown children, Jackie and Eric. 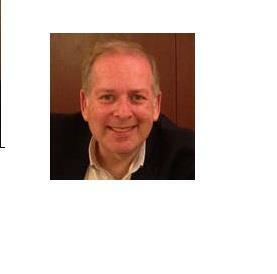 Dave joined the Rotary Club of Commack-Kings Park in 1983 and was president in 1987-88. At his club, Youth Exchange became David's focus for a number of years. Diane and Dave hosted five inbound Youth Exchange students, and both of their own children were Short Term outbounds. This experience has brought a global perspective to the Ardam household, and has inspired a love of travel and visiting in every corner of the world. 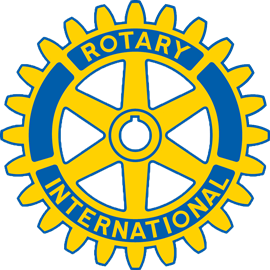 David served the District in a variety of positions, and was District Governor during Rotary year 2007-08. Dave served as Representative to the 2013 RI Council on Legislation and chaired the Merger Committee which was charged with overseeing the merger of Rotary Districts 7250 and 7260 into new District 7255. He is a past Chair of the Greater New York/Bermuda Multi-District PETS, and sat on the Executive Committee of the Mid-NE PETS. He has been District Trainer for four district governors. He is currently the Rotary Leadership Institute District Chair and facilitator, a facilitator for the annual Presidents-Elect Training Seminar (at which over 300 Rotary clubs presidents-elect receive training) and also serves his club as Rotary Foundation Chair, Executive Secretary and Board Member. He is a multiple Paul Harris Fellow. 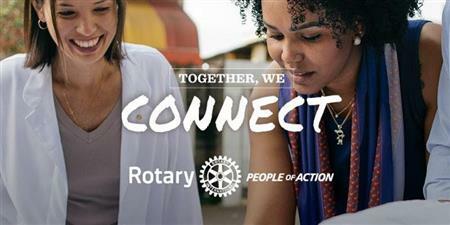 For 2018-19, David also serves the new Rotary District 7255 as its Foundation Polio Eradication Chair and as Secretary and Board Member of the District's Gift of Life program in Suffolk County. David Ardam is the principal attorney in David M. Ardam, PC, a law firm located in Commack, New York and concentrates in the areas of litigation, wills and estate practice, adoptions, criminal, traffic and personal injury matters. For more information on the firm and its practice, please see www.ArdamLaw.com. Steve Azzato is a fellow Rotarian out of Crawfordsville Indiana; he was born and raised in Brooklyn NY and then lived in East North Port NY for several years before relocating to Indiana. Steve was a former Professional Wrestler for over 23 years and was a 9 time world champion. He is currently a Motivational Speaker with Sports World as well as the North East Regional Manager. Sports World sends professional athletes to share personal life experiences with students, helping them to recognize the consequences of their choices while challenging them with The Message of Hope. Our focus at Sports World is to help students see the value of making positive choices in their life. We are also here to come alongside teachers and administrators, reinforcing what they are already teaching. Our focus is not to create shame for making bad decisions, but to show students they can choose a better way. Sports World is committed to and would bring our Message of Hope to the students through our Professional Athletes. As I was sharing with you earlier, we speak at schools throughout the United States and we are currently partnered with both Chicago Public Schools and Broward County Florida Public Schools. We speak to over 200,000 students each year all across the country. And in the past 40 years we have spoken to over 18 Million Students in school assemblies. How it would work is that we would bring our Pro Speaker into the area for three consecutive days. We schedule the Pro Speaker to speak 3 to 4 times each day. We would schedule the Pro to speak at several schools in the area, so the size of the school wouldn’t be an issue for us and there is absolutely no cost to the school. Our desire when coming into a school district is to get our Pro Speakers to speak with students in assemblies beginning with 3rd graders thru High School Seniors.